As more and more information surfaces about the dangers of processed foods, humans are gradually beginning to awaken to the health hazards associated with refined sugars, excess sodium, and poor quality ingredients. This has led to the explosive success of natural foods markets such as Whole Foods and Sprouts that offer organically grown fruits and vegetables along with other responsible and nutritionally sound selections. 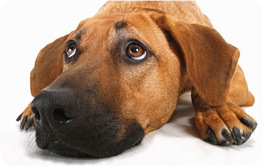 Your dog and cat are no different and will greatly benefit from an educated and informed owner. Just as you would when shopping for yourself or your children, it is extremely important to learn how to read and understand the labels on pet food, treats, and supplements. Ingredient quality and digestibility are the two most important things to look for when evaluating a product. Remember that labels must list everything in the product in descending order meaning that the most prominent ingredients appear first. If a product touts the benefits of a certain ingredient such as, you will want to be sure that it actually contains enough to provide the benefit promised. Dogs do a much better job than humans of converting protein to energy so the percentage of protein a food offers should be substantial and come from sources such as egg whites that deliver all eleven essential amino acids. Other highly digestible sources of this key ingredient include poultry, beef, lamb, fish, and liver. Numerous recent studies have affirmed the many health benefits of omega fatty acids for dogs and they are appearing in high-quality pet foods with increasing frequency. One word of caution however, they do have a tendency to break down and degrade at high temperatures and when exposed to excessive amount of oxygen. For this reason, it is important to store your dog's food in a cool temperature-controlled environment and keep it sealed at all times. Top quality ingredient typically command a premium price so it is essential to store them properly to protect your pet and your investment in his or her health. 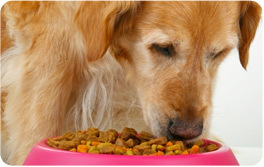 Finally, vitamins and minerals are an inexpensive way to help round out your pet's diet. Your vet can offer excellent insight into the ideal daily allowance of recommended vitamins and minerals your dog should be consuming. In the event that your regular daily pet food can't fully meet your dog's nutritional needs, a natural daily multivitamin is an excellent way to meet this fundamental nutritional need.